2. Search for the video, playlist or channel you want to view. 3. Adjust the dates using the calendar. Questions to ask: Are viewers converting to subscribers? Do viewers share our videos with their friends? Questions to ask: Do the channel demographics match my intended audience? If not, how can we change our programming to attract more viewers in the target demographic? Questions to ask: Is viewership on an overall upward trend or downward trend? Do tweaks to the upload schedule increase overall monthly viewership? Question to ask: How are viewers finding our content? Question to ask: Does our audience watch our videos all the way through? There may be a bit of a learning curve, but understanding YouTube’s analytics is useful when trying to grow a channel. What journalism organizations are doing it right? In order to optimize his own channel, Ben researched journalism organizations thriving on YouTube. The following organizations have combined solid programming strategy with good channel optimization and audience development. The New York Times has stayed tonally consistent with its print publication, but has chosen specific “verticals”, or subject types, to focus on. Their channel page currently shows an emphasis on three topical news stories: Ferguson, Immigration Reform, and Ebola are all explored in playlists featured on the channel page. They alternate harder-hitting coverage with videos about cooking, travel and entertainment. They are also using a library volume strategy and uploading frequently (sometimes four or five times a day) to gain a higher volume of viewership across many videos. Videos occasionally “pop” with higher viewership, but generally hover between 2,000 and 6,000 views. While individual video viewership is low, the library volume strategy has allowed The New York Times to garner 5.2 million views per month. National Geographic began as a print publication but has been producing TV since 1997. They are using the platform largely as a marketing platform to drive viewership of TV programming. Clips from the shows are packaged using YouTube best practices and are succinct segments that focus tightly on one subject. The videos are optimized for the YouTube platform and appear to be YouTube-native programming at first glance; they are titled well, feature visually appealing thumbnails, and don’t over-emphasize show branding. 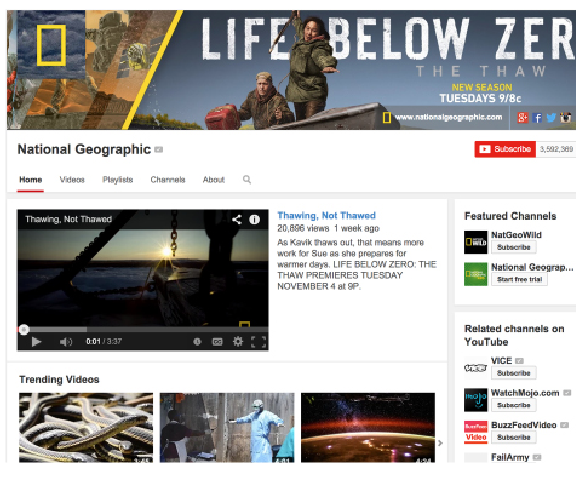 Nat Geo is using G+ Hangouts On Air to stream live programming. National Geographic is currently racking up 14.2 million views per month. 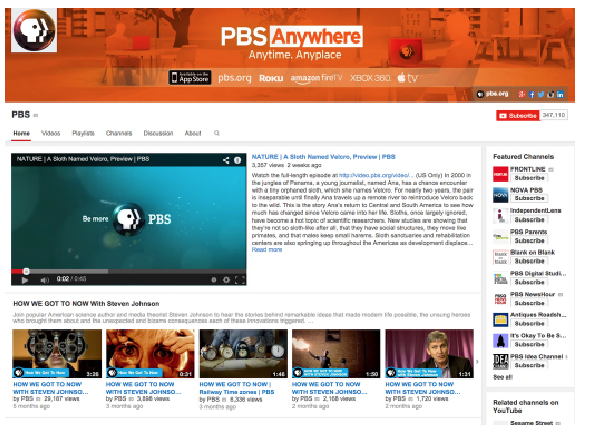 PBS has a suite of successful YouTube channels and we’ll focus on their main hub channel. PBS uses a strategy similar to that of National Geographic. The platform helps market TV shows. PBS also segregates some full episodes behind a paywall, providing an additional revenue stream. Their most popular recent programming is a kids’ show called “ODD SQUAD,” showing the power of content that caters to a younger demographic native to YouTube. PBS is pulling in 5 million views per month. 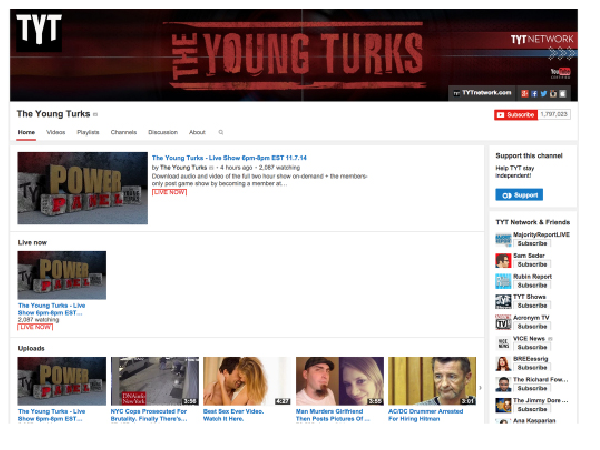 The Young Turks (TYT) is an entirely different animal: a digitally native news-focused YouTube channel. TYT uses the G+ Hangouts On Air to broadcast a live news show. Other uploads focus tightly on a single, usually timely issue. Video titles are compelling and sometimes pose questions. The thumbnails are created specifically for YouTube and sometimes feature text or provocative images related to the subject matter. TYT places an emphasis on community building, uses verbal calls-to-action, and is tonally distinct from a more traditional news publisher. 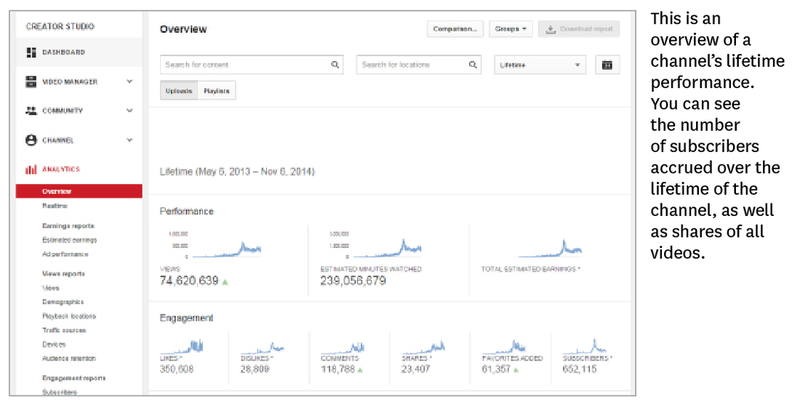 The Young Turks have a truly impressive audience: over 41 million views per month. As Ben watches videos from each of the channels above, he begins to understand the interplay between a successful channel’s videos, branding, and audience engagement. Since his organization is similarly print-based and making moves into digital video, Ben will take a tip from The New York Times’ programming strategy and create playlists around timely news topics.